There’s a prevalent perception of people who work in publicity and marketing as Machiavellian con-artists – or ditsy airheads – perpetrated by such larger-than-life figures as Edina Monsoon and Don Draper. It’s somewhat ironic that publicity and marketing gets such bad press – which also makes it a rather easy target. In Mark Shenton’s column yesterday – Has theatre got too many publicists for its own good? – his main complaint seems to be that nearly 22% of the staff members at the Nottingham Playhouse work in the field, to the detriment of other departments at the theatre. A publicity/marketing spend of 25% is relatively commonplace  in business – and that figure rises to around 30% on the average movie . Is it really that surprising that it’s a fundamental part of creating theatre? Without audiences, who will pay for the next show? 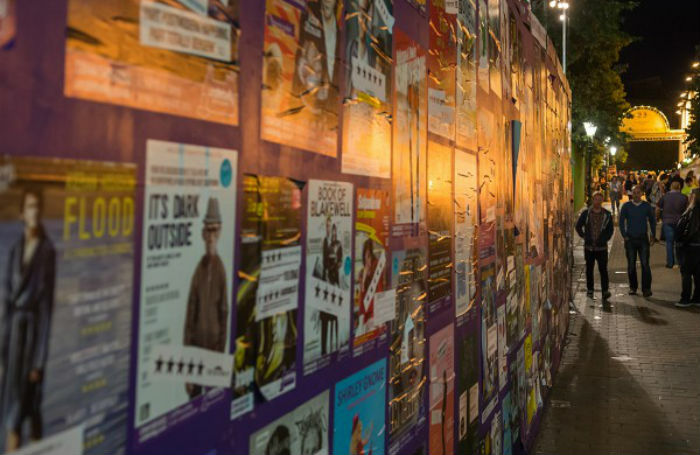 That isn’t to say that publicity/marketing is any more or less important than the creation of a new piece of theatre – but it does have a role to play. Sometimes, it can even become part of the story – take the wonderfully inventive marketing for The Play That Goes Wrong when it transferred to the West End: posters upside-down or around the wrong way, misappropriated press quotes and press releases with changes written on in red pen helped tell the story of the show. It can’t always be that integral or fun, but it’s moments like this where the value of good marketing and publicity is clear. But what about Shenton’s clarion cry that there seem to be more people than ever working in the field? I believe it has a lot to do with the struggles of theatre journalism – the firing of arts critics, the reducing of arts pages and the ever-expanding blogosphere have made knowing which media outlets to contact to promote your show a minefield – and thus more specialists have arisen and more job postings have been created to help. Similarly, the social media boom requires an entire new kind of specialist; it’s a new form of communication that has only existed for the past 10 years. Yes, it could be said that what used to be quite a simple relationship between theatremakers and the press has become vastly more complicated by all of this. However, when that was brought up at a panel discussion at the Edinburgh Festival Fringe this year (the panel included Shenton and 10 other theatre critics/editors), the general consensus veered less towards working with these new methods of communication and more towards labelling internet criticism as poor and engagement with social media as baffling. If critics themselves can’t navigate these waters, is it surprising that publicists and marketers have stepped up to fix the problem? I don’t think that publicity or marketing should outstrip spending on the creative work in theatre – if the product itself is poor, why spend time promoting it? But in the example Shenton gives of the Nottingham Playhouse, where nine (according to him – it’s actually fewer) of the staff work to promote productions on two stages, including a biennial international theatre festival (which it runs as the only UK theatre that is a member of the European Theatre Convention), that seems entirely justifiable – especially considering the theatre’s excellent critical track record as well. But then again – it’s such an easy target.